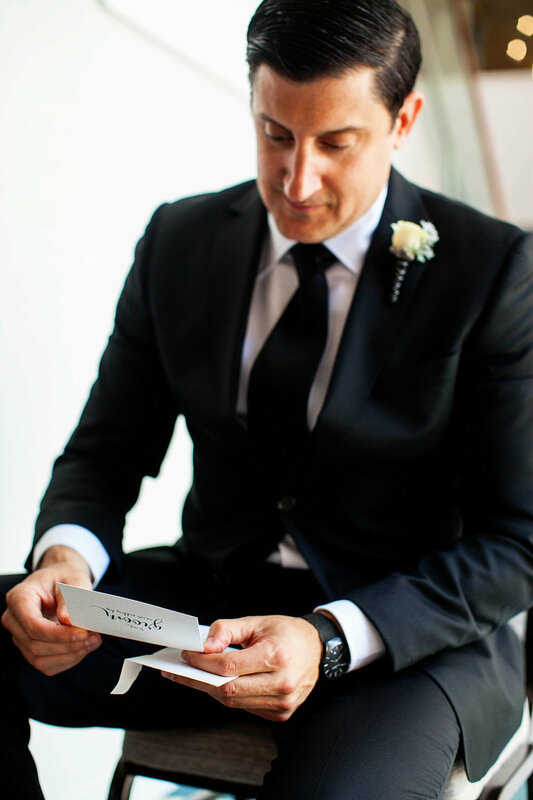 "Matt and I met in New York City in June of 2013 I was with a friend out for the evening and Matt was doing the same. Matts and his friend were on the corner in Soho and my friend and I walked by and Matt's friend stopped us and asked my friend something and she went up to him and they started talking. We then went to a bar with them and Matt and I started talking we stayed out until 4 in the morning together and went on a proper date 2 days later and the rest is history we truly met by chance we had no one in common and it was really amazing that out paths crossed that night!! We got engaged on that same street corner (Prince and Mercer) in March of 2016!" 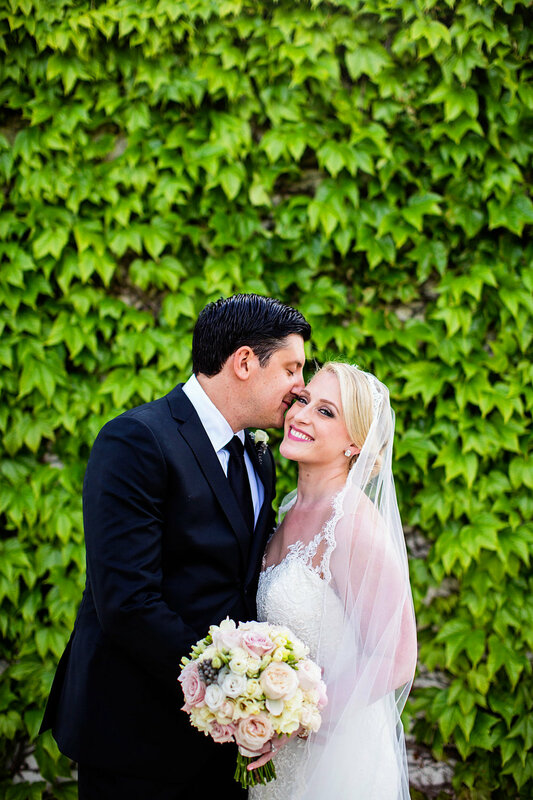 And their wedding was one for the books. 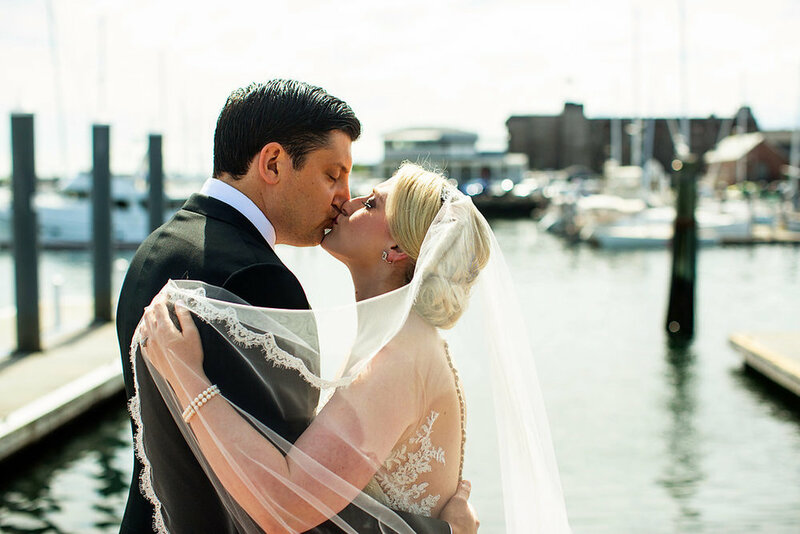 This classic Rhode Island wedding was stunning from start to finish. 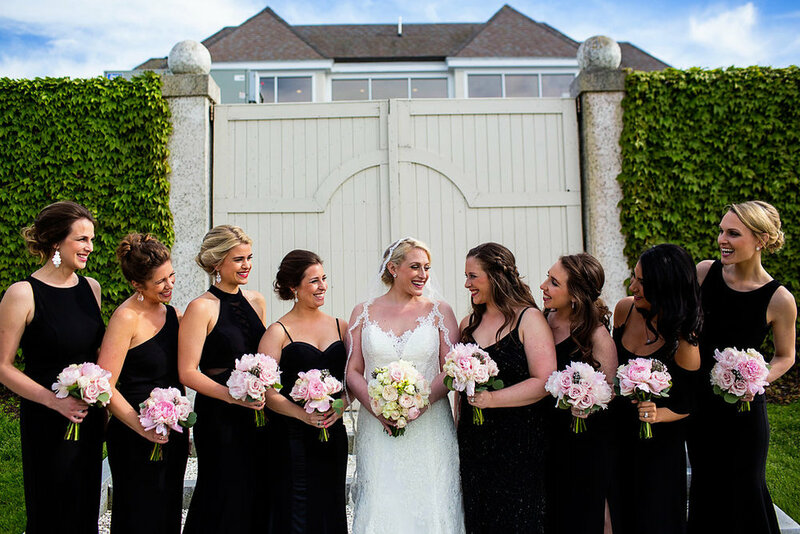 With the most gorgeous lace wedding dress, black bridesmaid dresses and a pink peony bridal bouquet, scroll on down to see all of the beauty there is to see from this beautiful Belle Mer wedding.